Phones have come a long way since Innocenzo Manzetti played around with the idea of a “speaking telegraph” in 1844. Development of the landline telephone came in leaps and bounds but it is the mobile phone that truly captured a global audience. The first mobile phones were produced by Bell System for use in cars only, introduced in 1946 on their Mobile Telephone Service in St. Louis, Missouri. The first call on a handheld mobile phone was made on April, 3 1973 by Motorola’s Martin Cooper to his rival, Joel S. Engel of Bell Labs. Nicknamed “the brick” the first mobile phones weighed 2 lb (0,9kg) and cost $3,995. As with most inventions, it takes a while (and a lot of teething problems) before a product reaches an acceptable cost factor for both the producer and the consumer. Early mobile networks were patchy and phones were expensive, bulky and less than attractive. When the 1G network launched in 1983, the phones were still too big for comfort and suffered from short battery life. By the time 2G was introduced, in 1991, the phones were better and the first smartphones were introduced. But it was only after 2001, when 3G cellular technology was launched, that the mobile phone market really took off. Networks were faster and phones were smaller and more affordable. The entry-level Nokia 1100, launched in 2003, was snapped up 1 million times a week to eventually become the world’s most popular cell phone with over 200 million units sold. By 2011, Apple had sold more than 100 million iPhone smartphones. Android has the largest installed base of all operating systems of any kind. Android has been the best selling OS on tablets since 2013. 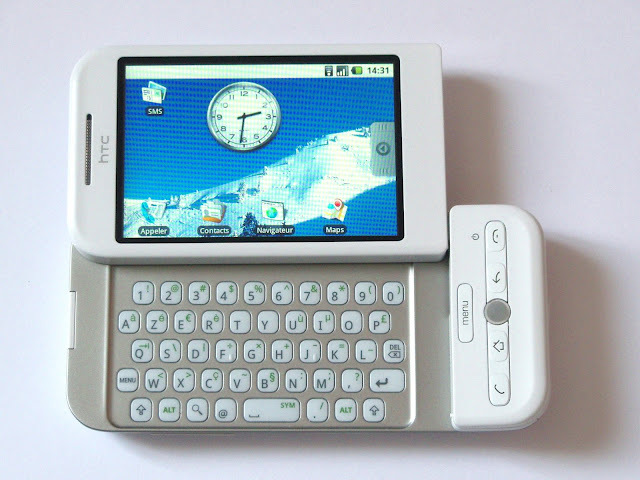 The world’s first Android phone was the HTC Dream – it came to the market in October 2008 as the T-Mobile G1 in the USA and, when signing a two-year service agreement, sold for $179. First-ever Android device; had quirky design elements like the swing-out keyboard and the "chin"